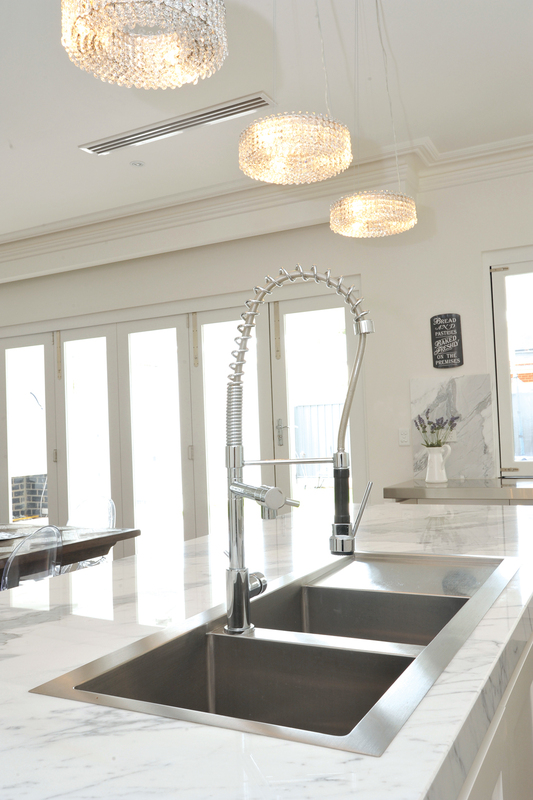 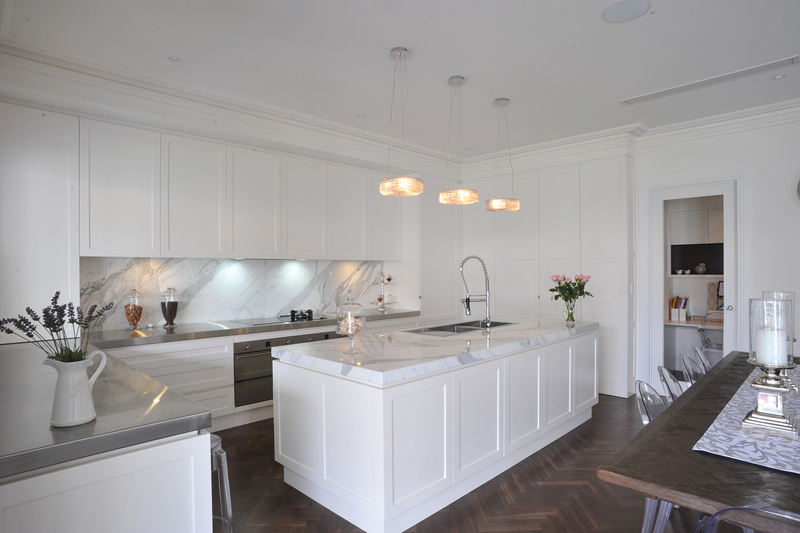 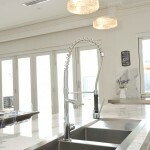 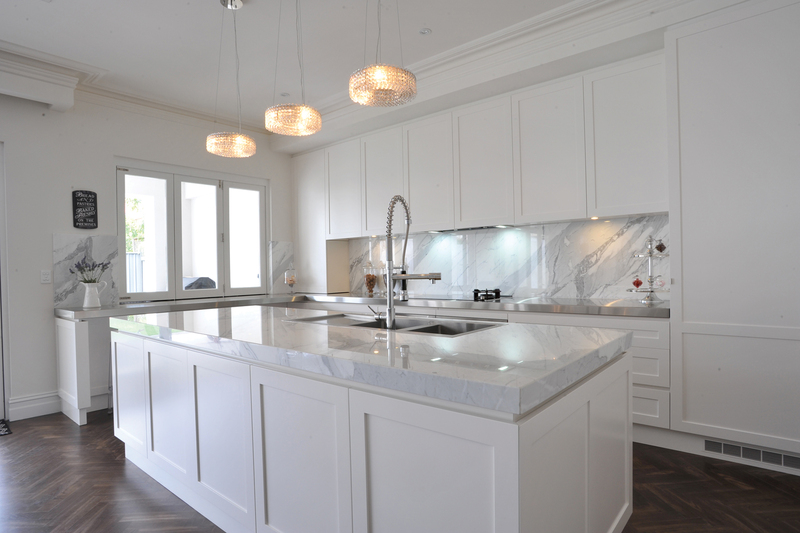 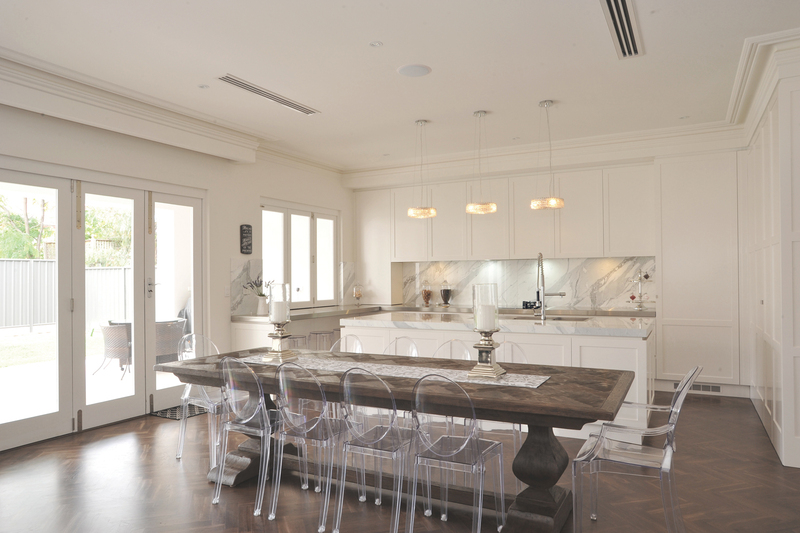 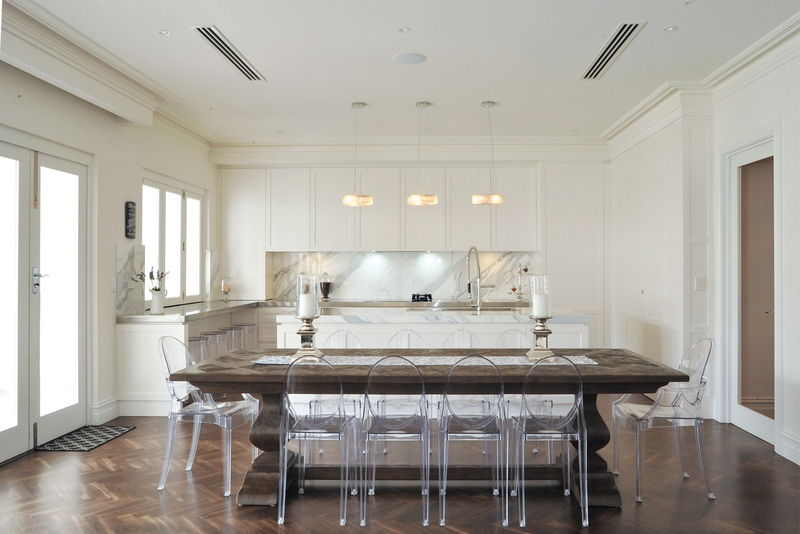 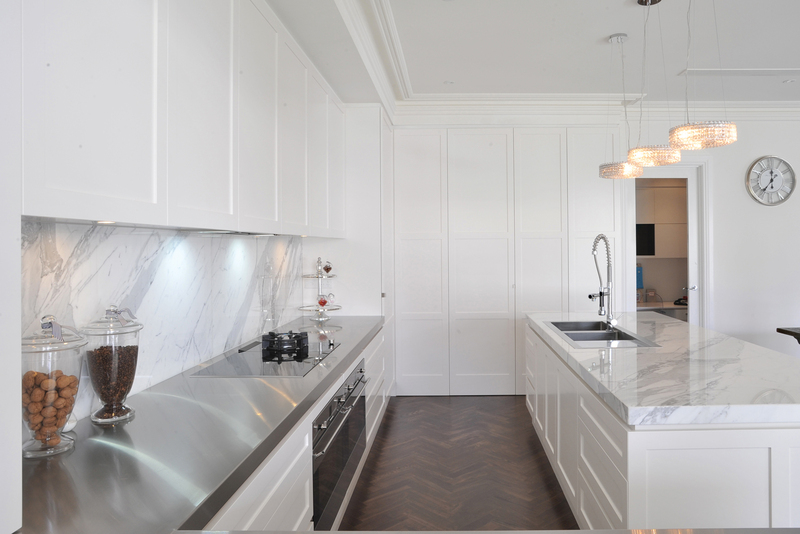 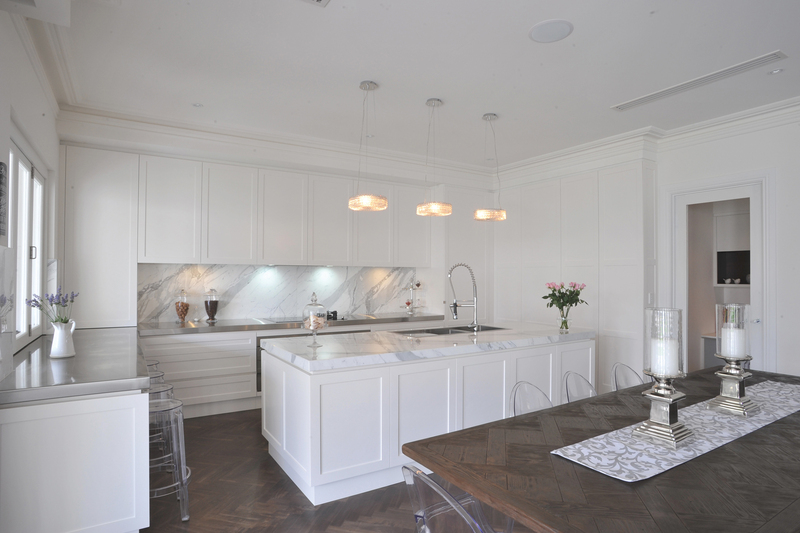 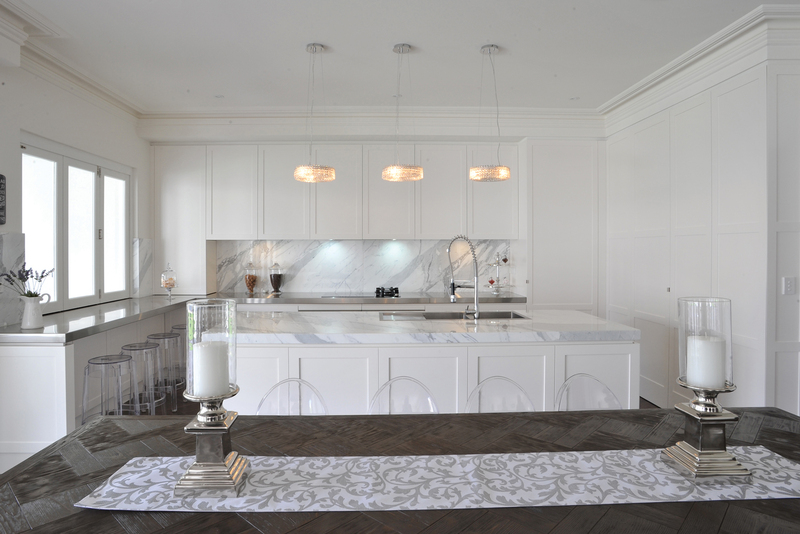 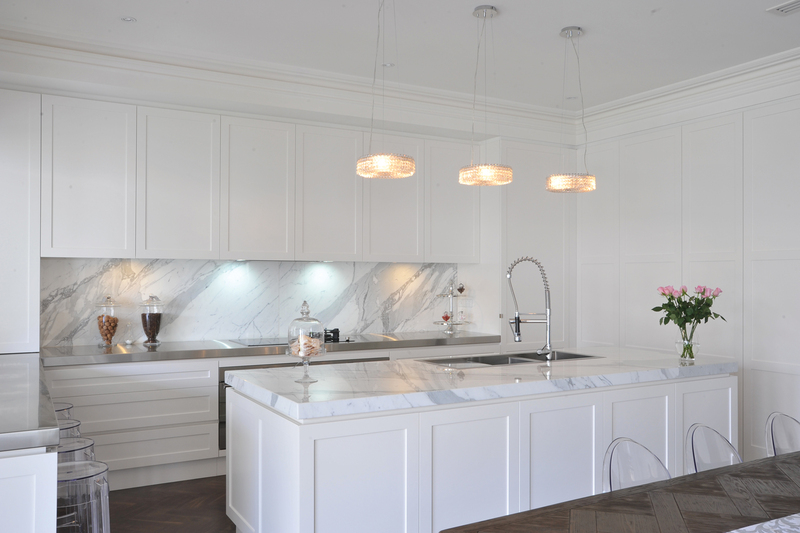 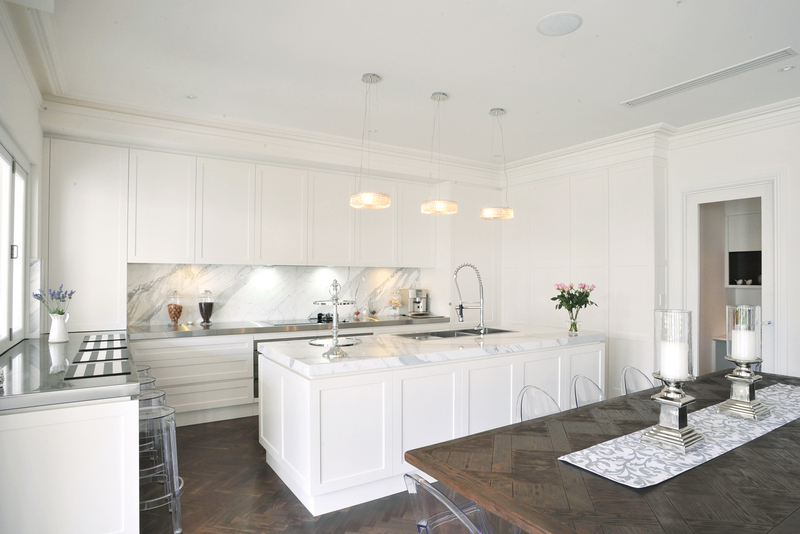 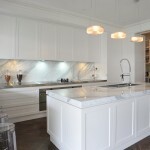 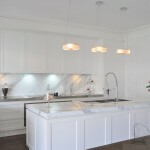 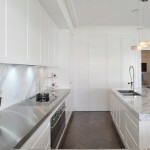 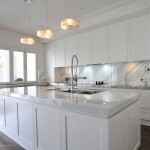 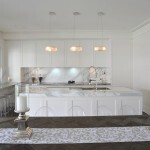 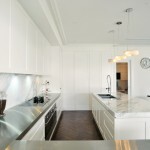 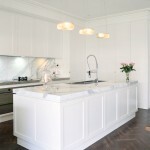 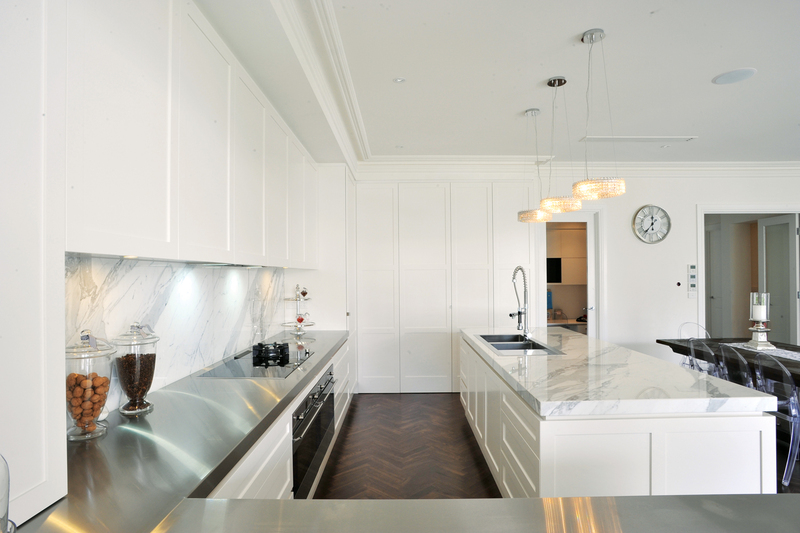 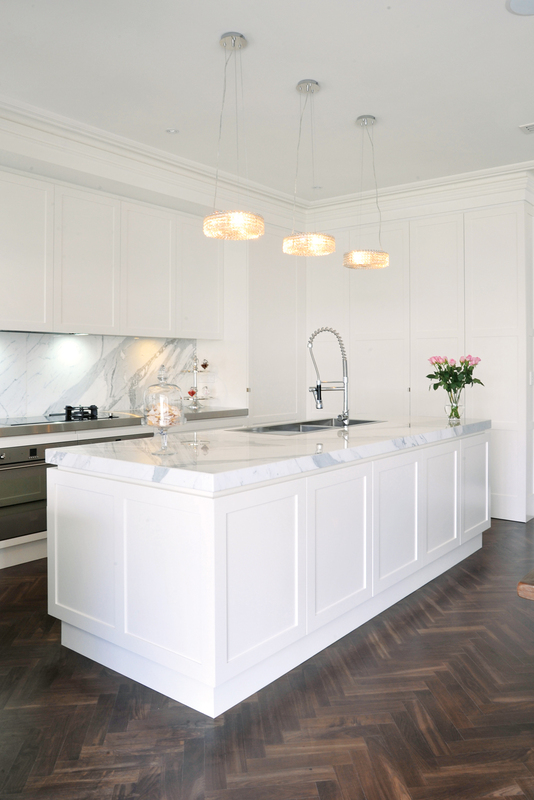 With timeless sophistication, this kitchen is a pure vision of traditionalism combined with contemporary influences. 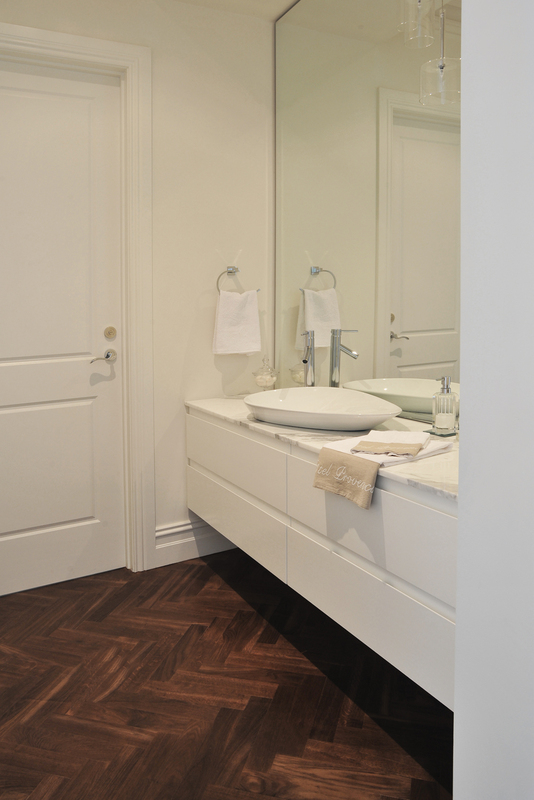 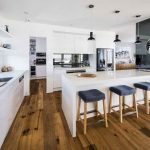 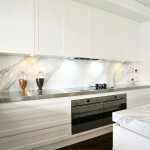 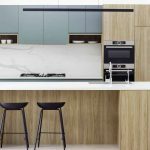 Containing finger-pull handles, the cabinets display the simplicity of its appearance and illuminate the textural features of the marble benchtop. 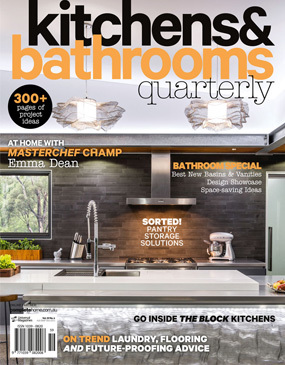 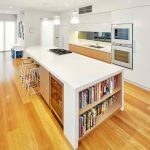 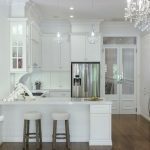 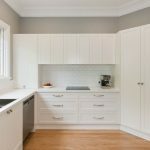 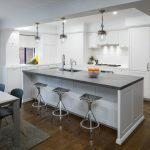 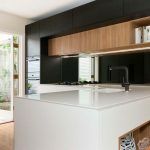 The concept of space is inviting as the owner’s concealed pantry door opens to reveal a preparation sink, bench and fridge to create an entertainment-friendly but intimate kitchen. 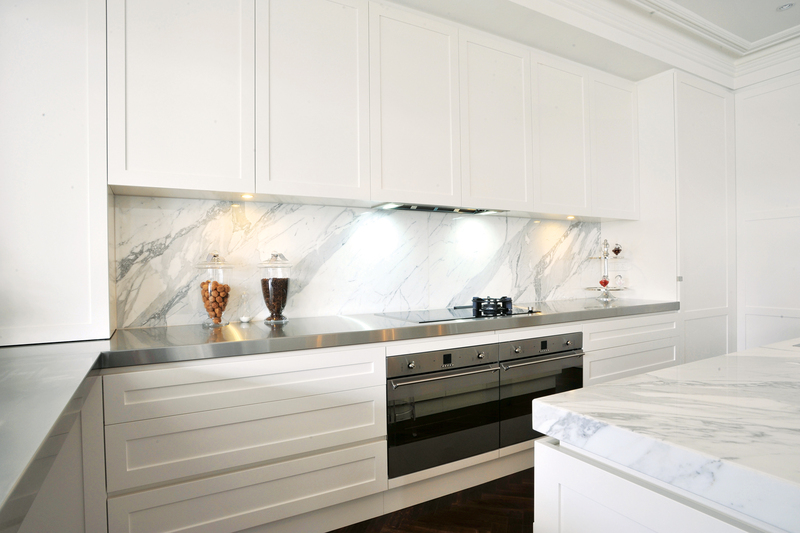 Brands of refined quality including Fisher & Paykel, Miele and Smeg adorn this enduring classic. 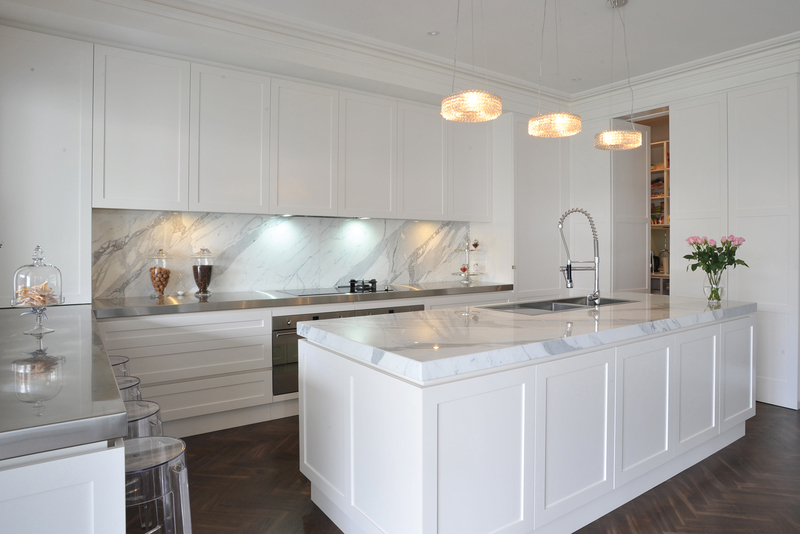 European oak timber floors are reflective of old Paris and give this kitchen a supreme elegance that will remain graceful beyond its years.